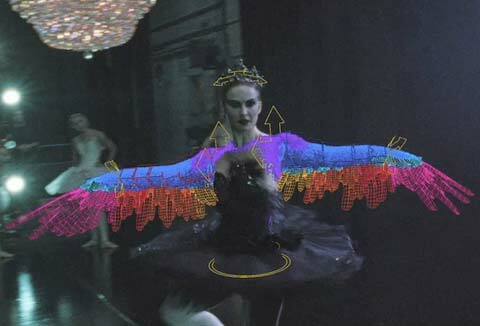 A special look at how BLACK SWAN’s dark, creepy special CGI effects were made. Specially how the feathers and the wings were growing out of Natalie Portman’s skin. BLACK SWAN takes a thrilling and at times terrifying journey through the psyche of a young ballerina whose starring role as the Swan Queen turns out to be a part for which she becomes frighteningly perfect. BLACK SWAN follows the story of Nina (Portman), a ballerina in a New York City ballet company whose life, like all those in her profession, is completely consumed with dance.